chemistry. Her passion for being in the lab and helping people has led her on the path of becoming an Epidemiologist. 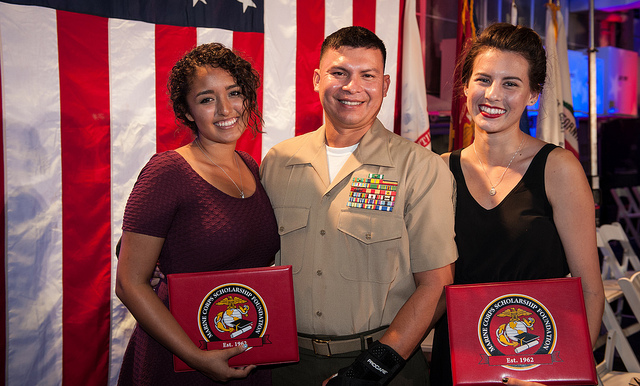 On Thursday, July 30, Alyssa shared her story with other scholarship recipients at our 2015 West Coast Scholarship Announcement Ceremony in Camp Pendleton; but first the Aqunios sat down with Channel 6 News in San Diego to talk about the meaning of service and giving back despite hardship.